Garden City, New York, USA. March 9, 2019. 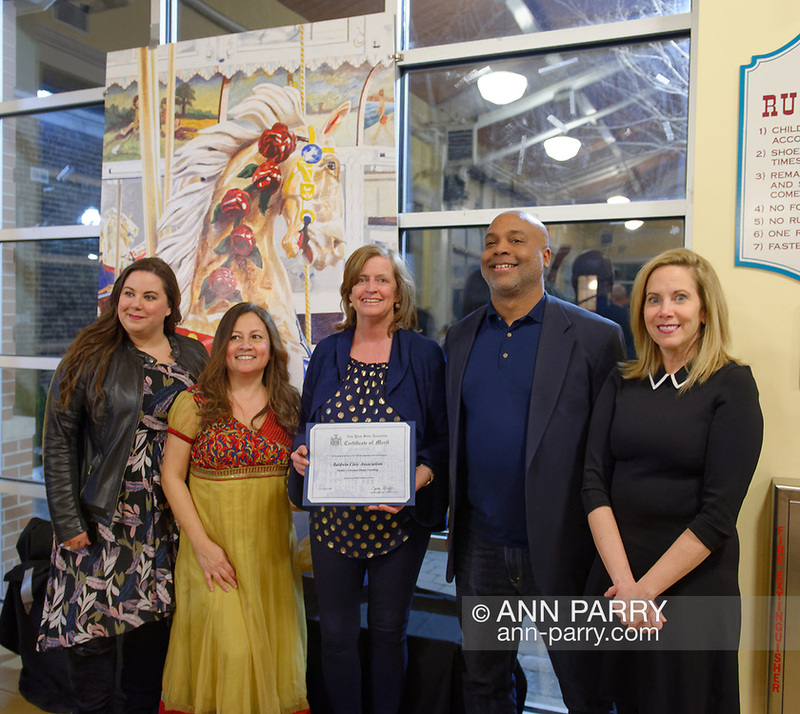 L-R. SUSAN COOLS (BCA Corresponding Secretary), RITA CAVANAGH (BCA Beautification Committee Chair), New York State Assemblywoman JUDY GRIFFIN (District 21), Baldwin Civic Association President DARIEN WARD, and Hempstead Town Supervisor LAURA GILLEN pose next to mural by artist Michael White during Unveiling Ceremony. Event was held at historic Nunley's Carousel in its Pavilion on Museum Row on Long Island.